Life often feels unfair, especially at home, where every member of the family absolutely depends on every other member doing their part. When a husband or wife, in particular, is lacking or slacking, the other spouse can feel undue pressure. The result is frustration, overwhelm, and resentment. 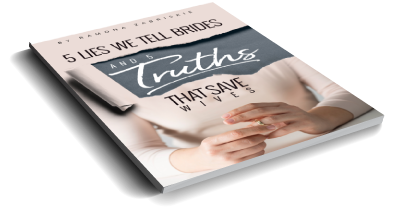 Multi-award winning marriage author and educator, Ramona Zabriskie and her husband, Dale, answer a wife who is exasperated with her husband for not carrying his fair share of family life. Listen and learn how to relieve the pressure on yourself and your marriage by incorporating a whole new approach to “fairness” in family life.